On a recent Sunday afternoon in New York City an audience of more than 50 people was treated to a unique one-man show, The Purgatory Trail of Vito Marcantonio, written and performed by Roberto Ragone and directed by Art Bernal with introductory remarks by Professor Gerald Meyer. 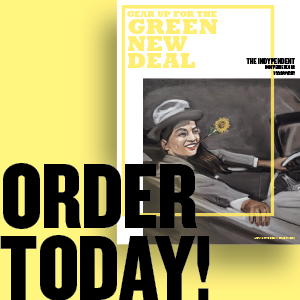 Professor Meyer is the author of the definitive biography of the progressive congressman and the co-chair, along with co-chair Ragone, of the Vito Marcantonio Forum. The play opens on Aug. 9th, 1954, the day of Marcantonio’s death. Though a Catholic, Marcantonio was denied a Catholic burial by New York’s extreme right-wing cardinal, and thus the action of the play centers around an imagined plea by Marcantonio to be released from purgatory — the repository of souls that God assigned neither to Heaven nor Hell — and be allowed to ascend into heaven. By way of a defense, Ragone, as Marcantonio, presents excerpts from his speeches in Congress and dramatized reenactments of incidents from his life. Ragone carries these texts (explaining each of these key moments in his life) in a portfolio each of which illustrate his record of selfless service to his constituents and his loyalty to his East Harlem community. Reenacted are such things as Marcantonio’s impassioned pleas for the establishment of a “second front” in Europe during WWII to assist the beleaguered Soviet Union against Nazi Germany, his defense of jailed Puerto Rican Nationalist, Pedro Albizu Campos, and his lonely stance in opposition to the Korean War. 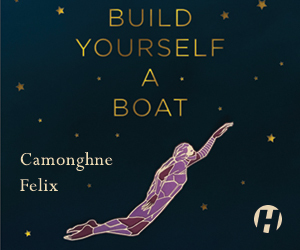 The play illustrates how Marcantonio never compromised his progressive principals; always serving as a champion of equality, a fighter against injustice and a defender of the common folk. Also documented: the relentless hostility of the powers-that-be toward Marcantonio. They continually plotted and schemed against him, changing the boundaries of his district until it extended as far south as Sutton Place. They even changed the election laws to his detriment. Initially, these attempts at sabotage were in vain, he was reelected six times. Contributing greatly to Marcantonio’s success was the fact that during his time in Congress he had an unparalleled record of direct service to his constituents. In his introductory remarks, Professor Meyer read extracts from letters sent to Marcantonio from people in his district thanking him or asking for help. With that kind of grassroots support, he proved hard to beat and the only way his opponents could succeed removing him from office was through the immense effort of getting all the other political parties to unite against him. There are many memorable highlights’, e.g., the eulogy given at Marcantonio’s wake by the great Paul Robeson; a back and forth with a friend of questionable reputation, the gangster Tommy Lucchese, who Marcantonio showed respect while rejecting his offer of a personal bodyguard; and Marcantonio’s successful defense of black leader and communist W.E.B. DuBois, who aptly said the main hurdle of the 21st century would be overcoming racism. 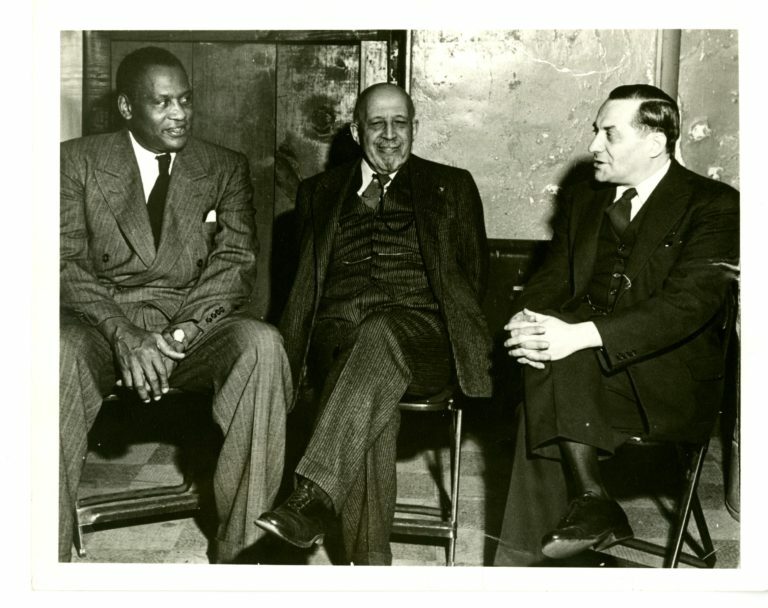 Photo (from left to right): Paul Robeson, W.E.B. Dubois, Vito Marcantonio. Photographer unknown.